In order to play in the U-10 league, girls must be 9 or 10 years old as of January 1 of that season. The U-10 teams will play on Monday & Wednesday nights at 5:00pm, 6:30pm or 8:00pm. Regular season games will begin with an opening weekend of games in the middle of May and then the normal Monday & Wednesday schedule will follow. A league tournament will take place after the regular season. The season will be completed by July 4th. Games will be scored and players will pitch. 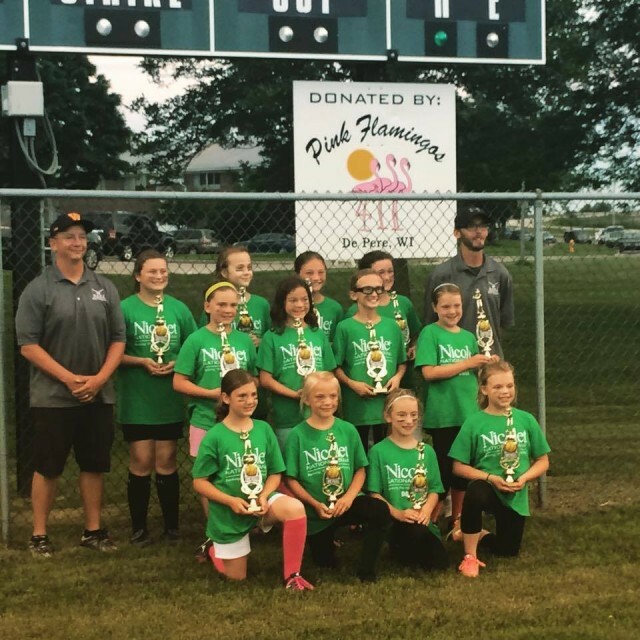 To build upon the fundamentals of softball that these athletes were introduced to from the U-6 and U-8 leagues. To provide an increasingly competitive softball environment to help the athletes prepare for High School Softball. This league is a modified ASA scoring league where team standings are tracked for seeding purposes for the end of the season tournament. $65 per player (Save $10 by registering before February 15th). Includes the usage of bats, helmets, and catching equipment. Each player is to provide their own glove. A fielding facemask is not required but recommended. A team shirt will also be provided. Registration deadline is March 15.